Reload those motorcycles, it’s about to get SSStylish! Devil May Cry 5, released March 8, as of yesterday has officially implemented the Bloody Palace. For those uninitiated, the game mode allows players to put their style to the test and see if they can survive 100 floors of agonizing demon slaying action. Punctuated by boss fights, and an opportunity to reload Devil Breakers if you’re playing as Nero, players are awarded with extra time per their performance on individual floors. Coming alongside the Bloody Palace are trophies and achievements to be awarded upon successful runs, as if the main list wasn’t challenging enough. Also part of the 1.07 patch, a surprise to many, comes a small but noticeable cut-scene change on the PS4. Previously, upon completion of Chapter 11, players would watch Dante carrying an exposed Trish, with a distinct lens flare originating from the headlight of a nearby motorcycle covering up her backside. A benign editing decision for some, others made the lens flare a point of contention — alleging that the censoring of Trish didn’t take place on the game’s PC version. It wouldn’t be the first time we’ve seen titles appearing on Sony platforms get pared down. At the risk of editorializing, the only thing more puzzling than it’s inclusion, is its deliberate removal. 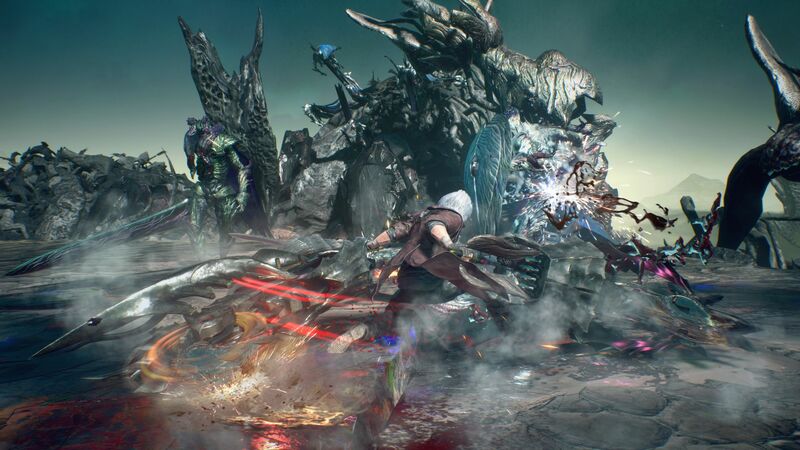 Those looking to flex on some demons in the Bloody Palace need only update their files to find the game mode newly added among the options in DMC5’s ‘Main Menu’ (keeping in mind that you’ll have to have already completed the game at least once). But if you’re just looking for something to get upset about, give the latest episode of our podcast a listen.